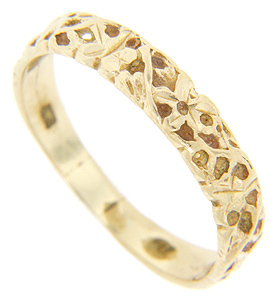 A textured floral design ornaments the top of this 14K yellow gold estate men's wedding band. The wedding ring measures 4.3mm in width. Circa: 1990. Size: 11. We can resize.